[spoiler=March 2014 - $11k]March 2014 Update: $11k finally!!!!! 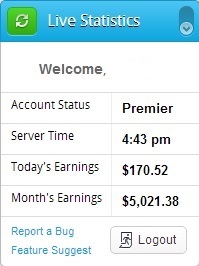 $11k+ this month :) Also i transfered my traffic to cpagrip now and it looks better. I am really happy and i will keep on working to rank new niches and keywords. I was on Sharecash i do manual SEO (no tools). All this is from Google traffic. Update: I am on CPAGrip now. Important: I have no time anymore to deal with my threads so i will STOP monitoring them and answering posts. Tnx on all support here and i hope i gave you some motivation. I'm still thinking and hoping to get $5000 per month..
That's impressive, keep it up! Seat a goal of $5000 the next month! (2014-02-19, 06:57 PM)Calisthenics Wrote: That's impressive, keep it up! Seat a goal of $5000 the next month! But... he is going to earn $5000 this month. Better set a goal of $7500 or so. How many websites are ranked ? (2014-02-19, 07:00 PM)ucozer Wrote: Congrats ..
few websites with multiple niches. some are ranked some not, alot more niches needs to get ranked. Great earnings,what colour have your niches? (2014-02-19, 07:28 PM)adyscorpio Wrote: Great earnings,what colour have your niches?